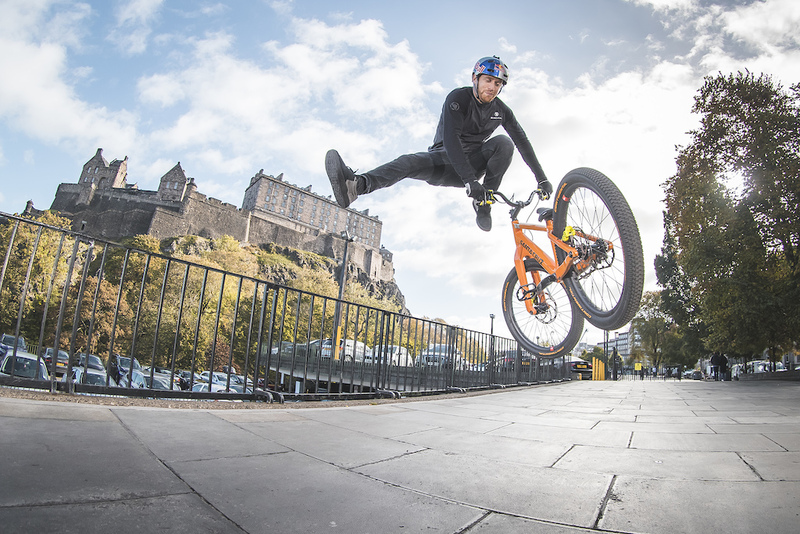 Two hearts beat within Danny MacAskill’s chest. Trials Danny and enduro Danny battle each other in the streets of Edinburgh and in the local woods; both of them busting out a wild array of different tricks while sporting their all-new signature pedal, the Crankbrothers Stamp 7 MacAskill Edition. Who will stomp the most tricks and take the win? Find out by watching! 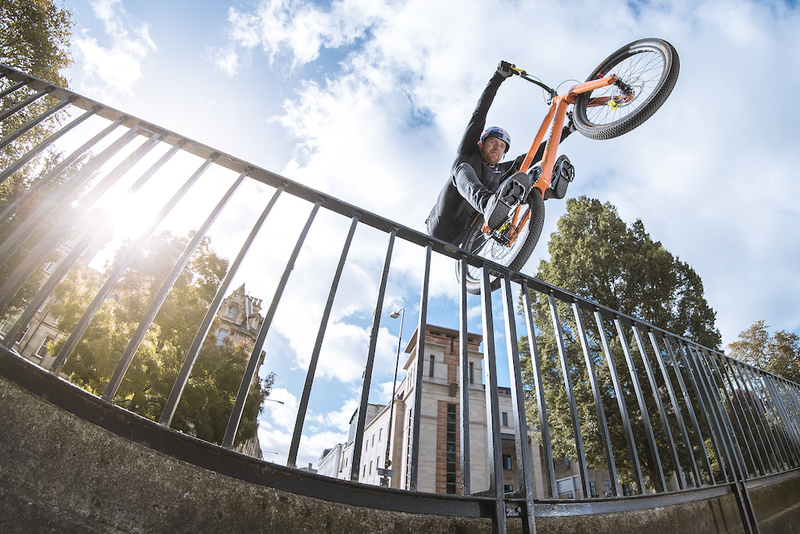 Danny MacAskill and Crankbrothers put their heads together in 2018 to develop a new design for the new Stamp 7 MacAskill Edition, but it was the fans, who voted on social media and made the final decision on which of the three design options would be produced. Danny’s new signature pedal comes in a slick black and white design with a minimal profile (11-13mm), which minimizes weight and rock strikes whether you are going for a casual trail ride or shredding the gnarliest freeride lines. Just like Danny’s alter egos the pedal comes in two different variations. A small version which is a perfect fit for a smaller foot (5-10US/37-43EU) and a large version for a bigger foot (10-15US/43-49 EU). Crankbrothers analyzed outsole profiles from the top mountain bike shoe brands, discovering two distinct surface areas to optimize the shoe/pedal interface for the entire range of shoe sizes. For more information on Danny's new pedal, click here. Wheelie UP the stairs??? Gimme a freaking break. . . Sigh. I cant wheelie or ride up stairs. I'm feeling the need to crawl back under my rock. Firstly, Danny makes video game physics look unrealistic. Secondly, why the hell would enduro Danny set the first non-urban challenge so triallsy? Dammit enduro Danny. I swear Danny must have had a hand in Edinburgh city's design process! I doubt I'll ever tire of watching anything with him in, I'm off to watch wee day out for the many hundredth time. trying a flat-ground tailwhip on a full suspension bike..... ballsy. and he almost got it around. Pfft, Enduro Danny took it easy on him, or got suckered into some unfair scenarios. Pretty sneaky, Trials Danny. Kudos to Danny, and sweet editing skills to whomever is behind that! Always fun, keep it up! The joy in Danny on his bike, it makes everyone of his video's likeable. He isn't acting, he is being Danny and how he has carried that over from the youtube days to one of the biggest names in biking is a classy move to me. Well played Danny. Aww man, he was at my local spot, Braefoot, and I missed it. Bummer. When did he switch to I9? Thought he ran Hope. 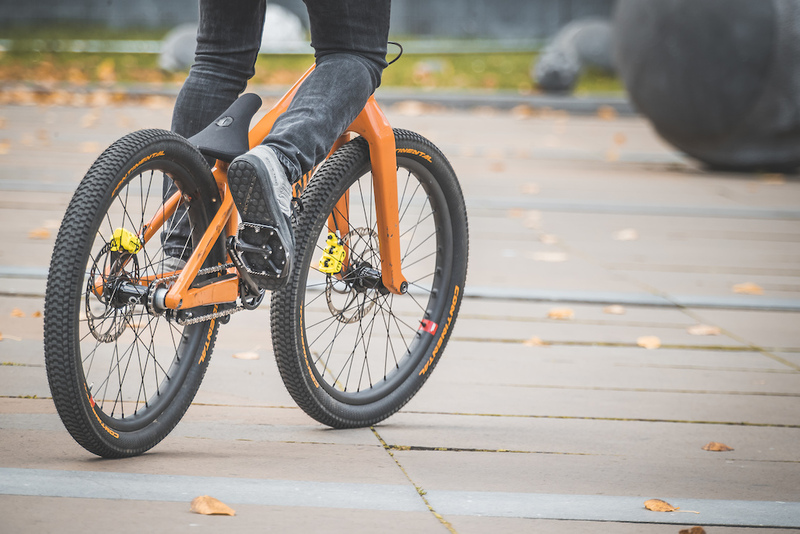 The Santa Cruz reserve wheels come with I9 or DT hubs. When the best rider in the world tries to act... He doesn't even need to, though. Too good. I think they should do another video where they swap bikes and do the same. Can you imagine if there really was two Danny's!! So danny has 2 stunt doubles, or are they clones? Wow! unbelievable skills and balance! Even played Schnick, Schnack, Schnuck ???? "That's a letter for me!" lol It's always a letter for Danny. Insanity here ! You are the MASTER! I was pleasantly surprised how much the suspension helped to be honest. Danny is Randy, Randy is Danny!